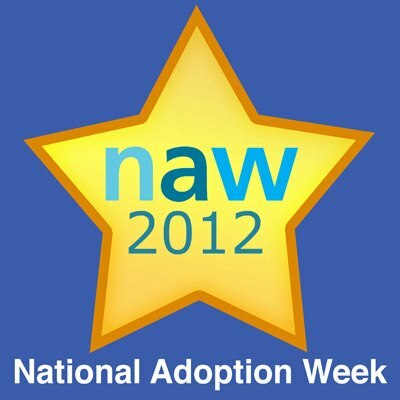 Next week it is National Adoption Week (NAW) in the UK. 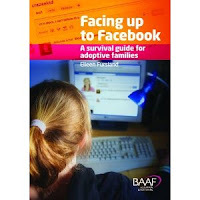 Adoption agencies; adopters and bloggers will all be helping to raise the profile of adoption, trying to encourage potential adopters to come forward and see if "Adoption is an Option" for them. If you are a regular reader of this blog you will know that I am a keen promoter of adoption. Adoption receives a lot of bad press at times, sometimes with good cause but often at the expense of all the positive stories that could also be shared. There are a lot of difficulties within the Social Care system at the current time due to lack of funding and major government changes in structures. The media, however, often seems only to want to highlight adoption stories that are unusual or have had a negative outcome. I have often read some very scary stories about adopted children. I want to show people that life with an adopted child can be fairly regular. Our lives are relatively normal (whatever normal is). Yes, there are issues we deal with that are adoption related such as life story work; birth family contact and emotions and resulting behaviours linked to being adopted but, for the most part, our life if similar to many of my friends with birth children. As an adopter there are things you have to get your head around. You are the parent to a child that isn't your biological child. That puts many people off at the first hurdle. There is the anxiety that you may be rejected in favour of your child's birth family in the future. That does happen in some cases but in the majority it doesn't. Being an adopter isn't straight forward but it is an amazing thing and it can make such a difference to the life of a child who needs a loving home. It changed my life forever. I now have a daughter when biologially that was impossible for me. I can honestly say that I couldn't love Katie any more than if she were my birth child. I would take a bullet for my daughter. That is the only way I can describe how much love I have for her. I look at her and my heart melts. I love her to the Moon, the Stars and McDonalds and back. Yes, we have difficult times. Times when I want to pull my hair out and scream in frustration. But so do the parents of birth children. Katie has met all her milestones. She is bright and articulate. Yes, she is a handful but in a way that is like many of my friends birth children of the same age. She tests the boundaries of everything. My patience is tested to levels I didn't know I had in me. Is that because she is adopted or because that is her personality? I can't really answer that if I'm honest. It may be a bit of both. I do know, however, that it's just the way she is. I would say that Katie is slightly emotionally behind her peers and this seems common of adopted children. We don't know what the future will bring but we wouldn't know that even if we had a birth child. I am attending lots of workshops to prepare me for some of the special adoption-related issues that may arise but, at the current time, we are a normal family. As you know we are currently seeking to adopt a second child. This hasn't been the straight forward 8 month process we were given to believe it would be. We are now 14 months into the process. We have a panel date for December 2012 but I am dubious as to whether our Local Authority will be organised enough to have all our paperwork ready for that date. The cuts to public funding have left our LA in disarray it would seem. Our CRB checks that were originally completed in March 2012 but not sent off for checking until June have yet to come back and now the LA have realised that our application to them is now out of date. We will have to update that. Yes, I'm annoyed about it, but I think any prospective adopter will have to accept that the adoption process takes time. It is frustrating, I won't lie. It will generally take longer than you will be told at any information event. I'm not going to sugar-coat the process because that would be false advertising. The system is far from perfect. As an adopter you need to be switched on and ask lots of questions. You will need to be very, very, patient. It is worth it though. Well, it has been for us and many, many, other people that I know. I wouldn't change my life for anything now. Katie is just the best thing ever! National Adoption Week now marks several special dates in our family's diary. It is Katie's birthday during NAW. That makes it quite special in my mind. Very "meant to be" if you know what I mean? It also brings the anniversary of our legal adoption day. It has now been 2 years since we legally adopted Katie. Our "Gotcha Day" (sounds like a game of tag doesn't it?). The anniversary of the day we went to the courts to meet the judge who gave Katie her new birth certificate. It is also the anniversary of the time I started to promote my blog to raise awareness of adoption. This blog is so much a part of my life now. 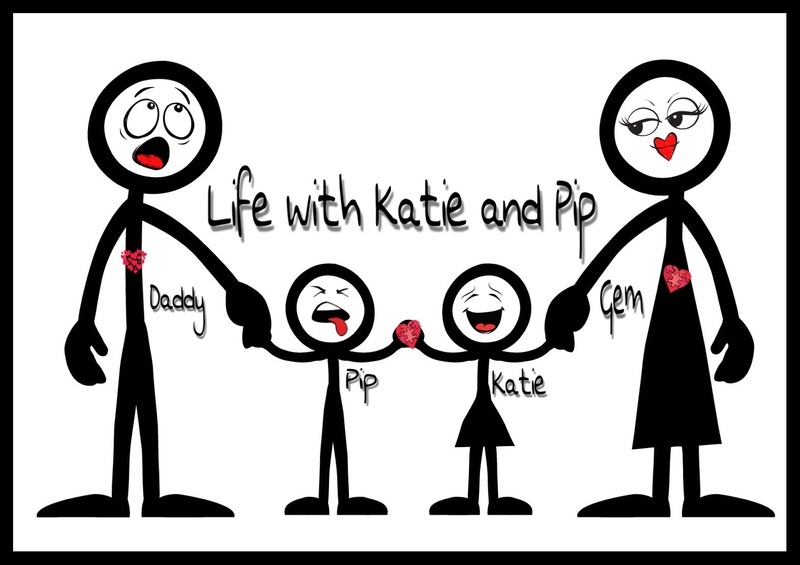 It is a wonderful record of our lives which, I hope, will be something that Katie will be able to read in the future and have memories of her life and experiences. As well as promoting adoption this week I will be throwing the birthday party of my daughter's dreams. This grand event will take place at the location she has been asking for all year long. I have also booked a little surprise visitor for her. Hello Kitty will be joining in the celebrations. I can't wait to see the look on Katie's face when she sees her. That alone will be worth all the years of waiting to become parents. I don't know who is more excited about her party - me or Katie!! 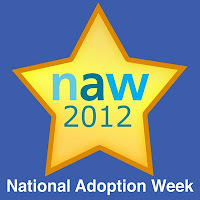 This year to promote National Adoption Week 2012 I have asked 5 other adopters to share their adoption stories. I will share a story each day to give some insight to the experience of other adopters and a glimpse into their lives. Please come and visit during the week and share those stories with people that you know. 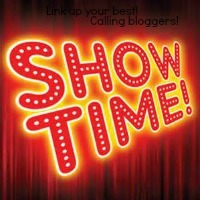 Talk about them, Tweet them, and share them on Facebook. You never know who might be considering adoption but are being put off by all the bad press. There are so many children in the care system, desperate for loving homes. Please help to raise awareness of adoption. Help get the word out there. Who knows where it might lead.